Sometimes, I get way deep in an Instagram black hole. I sign on to check what my friends are up to, and I end up following five new mama-owned shops that really kick some booty. This happens almost every single day, so I follow a LOT of people and shops on my personal account. Somewhere along the way, I stumbled upon Tubby Todd, and I’m so thankful I found them! We are super fans of the Tubby Todd brand, and we don’t like to be out of our Tubby Todd favorites. Why do we love Tubby Todd? Not only do these products smell amazing and work really well on our skin and hair, they’re not full of toxic chemicals, fake dyes and preservatives. Tubby Todd lays it all out on their website: the story of how they started and detailed descriptions of each ingredient used. The photos above show exactly what I’m looking for in products for my family and home. Above is a snapshot straight off their website, where they clarify what type of fragrance they use. I’m definitely comfortable with their disclosure of all of these ingredients - it’s worth a few extra dollars for quality products for my kids’ skin. I’ve got 3 products that we don’t like to run out of around here! Let’s dive in and see which products we love so much. This is a real scene from our bathtub: toys and a well-loved Tubby Todd pump container. In my opinion, this is the best smelling shampoo and body wash I’ve ever used. It’s a scent combo of lavender, rosemary and a touch of coconut - the girls’ hair always smells amazing after a good bath and scrub with this soap. I love that it’s multi-purpose, too. We use it on the body and for their hair. We buy the big bottle - 25 ounces - because it lasts longer, and it’s easier to not have to keep ordering over and over again. I’m going to hide our new bottle once it arrives - they love to use it to make lots and lots of bubbles in the bath - they’re sneaky! I’ll keep it put away, so we can conserve our precious Tubby Todd. We call this “the magic stuff” in our house. My oldest daughter has fairly curly hair, and this conditioner makes her curls soft and smooth. I use it in the bath just on the ends and rinse. Every now and then we’ll use it as a de-tangler in the morning when I’m brushing her hair. It’s thick, rich and perfect to smooth her dry ends and help me brush through the knots. We just ran out of this, and I can tell we haven’t used it in a few days. (I think our order arrives today! Hooray!) I’m tempted to try the conditioner in my own hair - I’ll report back if I do. It smells amazing - a combination of lemon and coconut which is so fresh and perfect for bath time. We typically buy the 8 ounce size because we use so little each day. If I start using it, too, it may be worth it to spring for the big one! 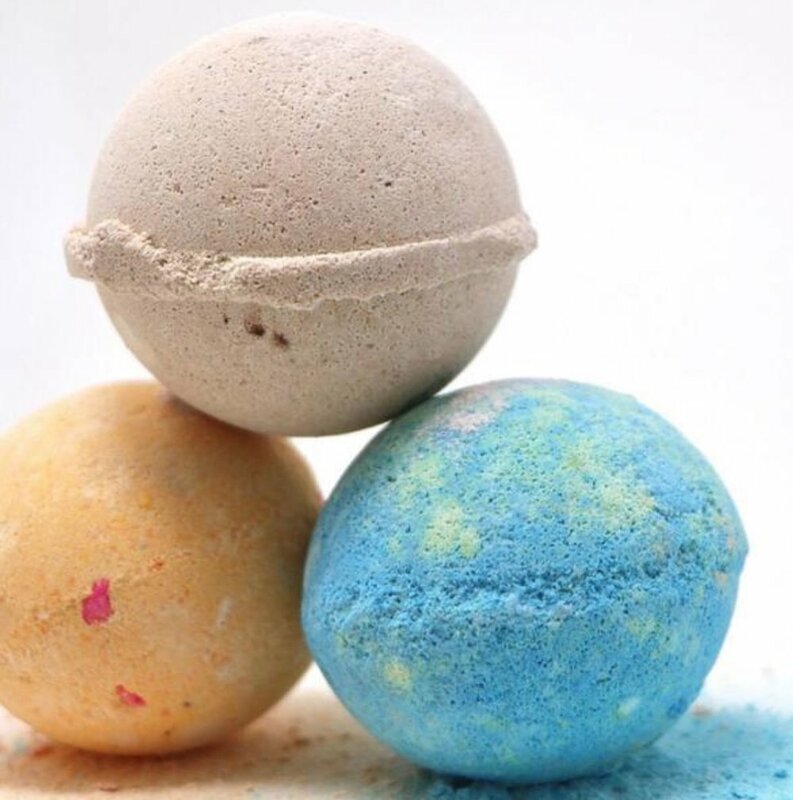 These bath bombs are our ultimate favorite for bath time. We even signed up for the monthly subscription because we love them so much. The girls look forward to them every month, and we have fun deciding which nights to use them. The monthly subscription is $20 (+$5 shipping), but I think they’re worth every penny. They don’t have an artificial or overly floral smell, and the colors are subdued since they don’t use toxic dyes. They are made from plant-based ingredients with only natural essential oils. These bath bombs make bath time so much fun! Play Mineral Sunscreen: I just ordered this and should be getting it in the mail soon! I’ll come back for an update once we get it and use it. All Over Ointment: This has been great for my youngest daughter’s skin. She’s got lots of bumps on the back of her arms, and this ointment helps soothe them. I also use it on their cheeks if they’ve had too much sun to keep their skin hydrated. Bundles/Gift Sets: Tubby Todd has you covered when it comes to gifts. They’ve put together some great bundles and gift ideas for kiddos and for new mamas. Currently, they’re offering an “Easter Bundle” featuring three bath bombs and a small bottle of the Spring Floral Hair & Body Wash.
Mama products: I love the mama gift set that would be great for a brand new mama or maybe even a mama who needs some encouragement. I’m so thankful I found this company on Instagram. We love all of their products - not just because they smell so amazing, but Mama likes them because they’re non-toxic and good for their skin. Grab a 3-pack of bath bombs, share them with a friend - I bet you’ll love them just as much as we do.